An ancient city, part of which is also a Unesco World Heritage Site, Canterbury, is consistently rated as one of the most visited cities in the United Kingdom. Steeped in history, Canterbury is one of the most beautiful cities in southeast England in the county of Kent and is situated on the Stour river. 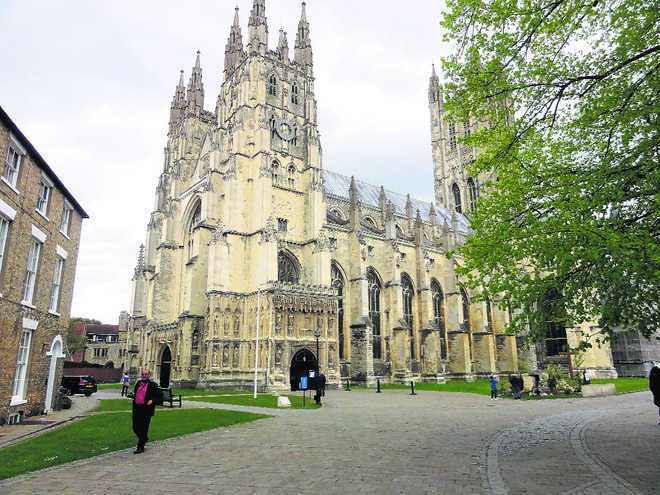 Also known as a university and cathedral city, Canterbury is a little over 60 miles from London and is easily accessible by about an hour-long train journey. A significant site of European pilgrimage, Canterbury’s earliest history records it as an Iron Age settlement that was inhabited by the Celtic tribe. It was later invaded by the Romans who were responsible for developing it into the town known as Durovernum Cantiacorum replete with temples, public baths and a marketplace. They also built a town wall around the settlement that was later rebuilt in the Medieval period.